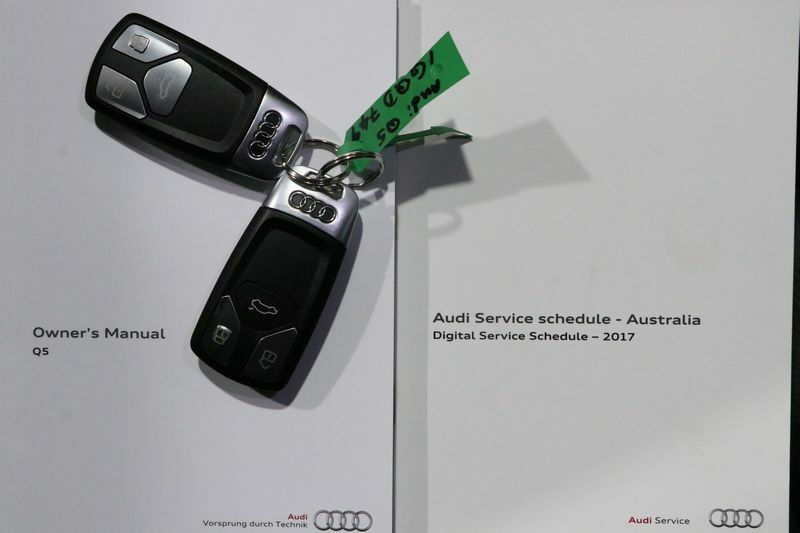 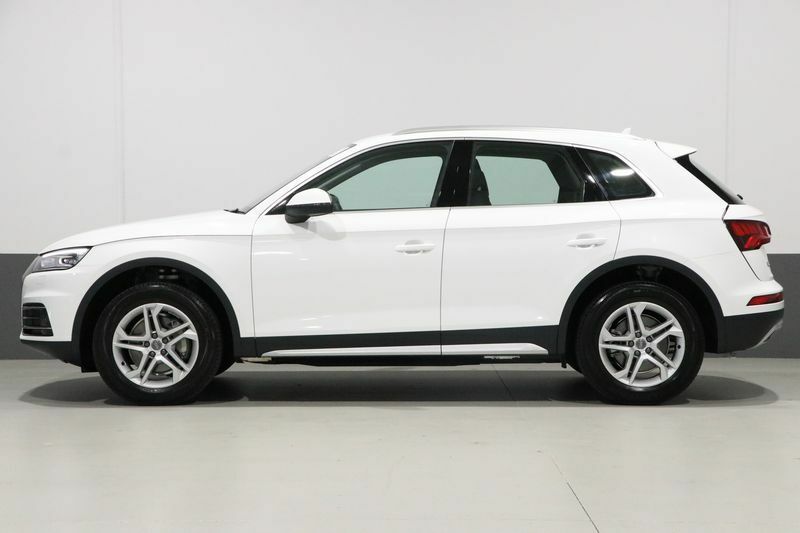 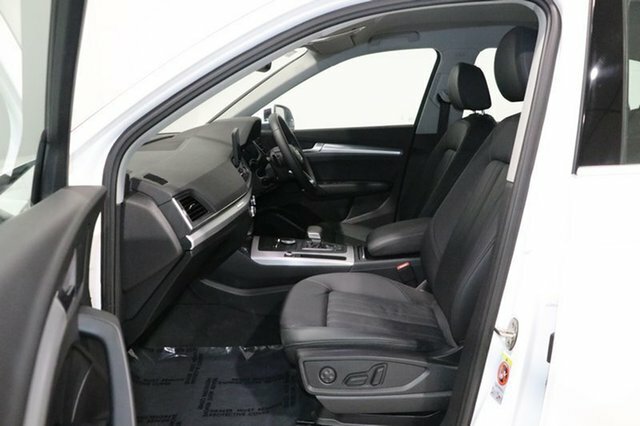 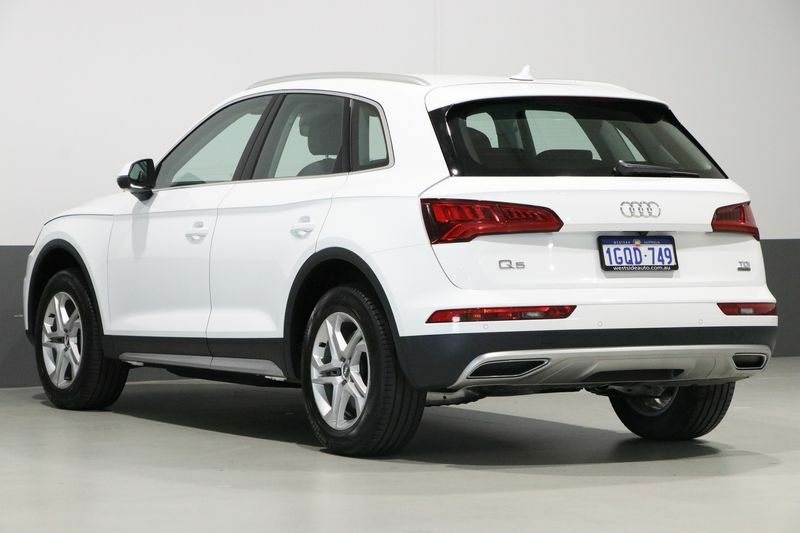 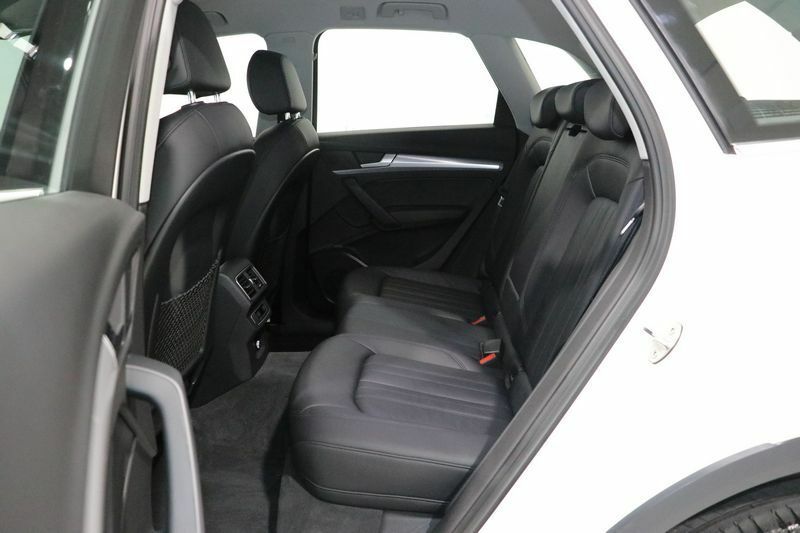 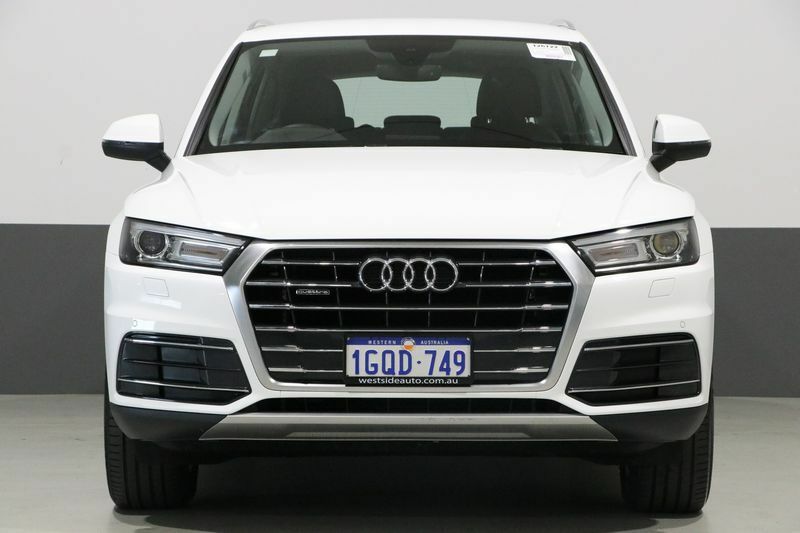 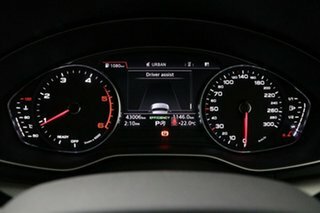 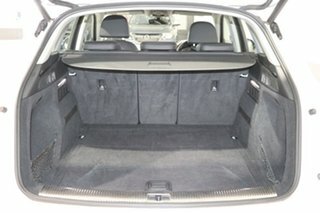 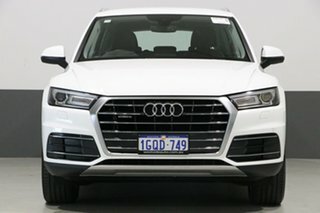 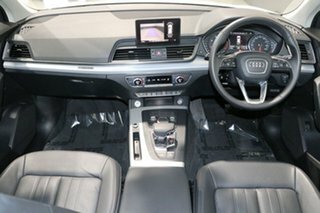 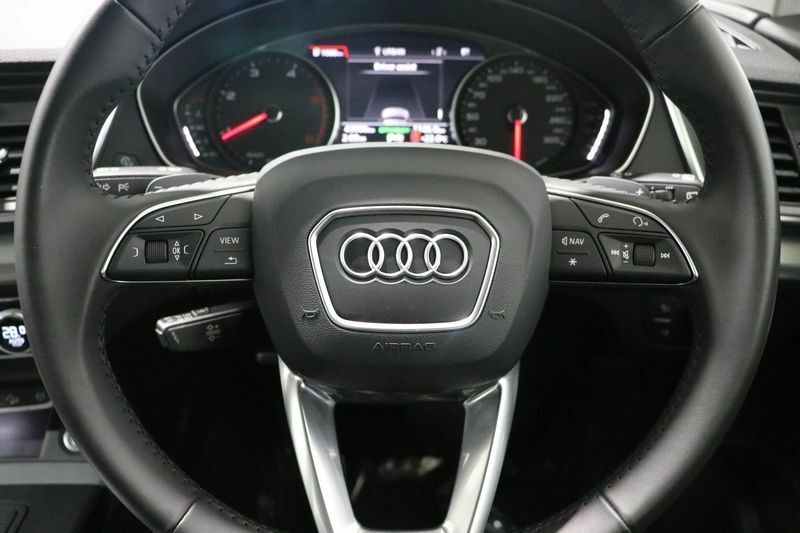 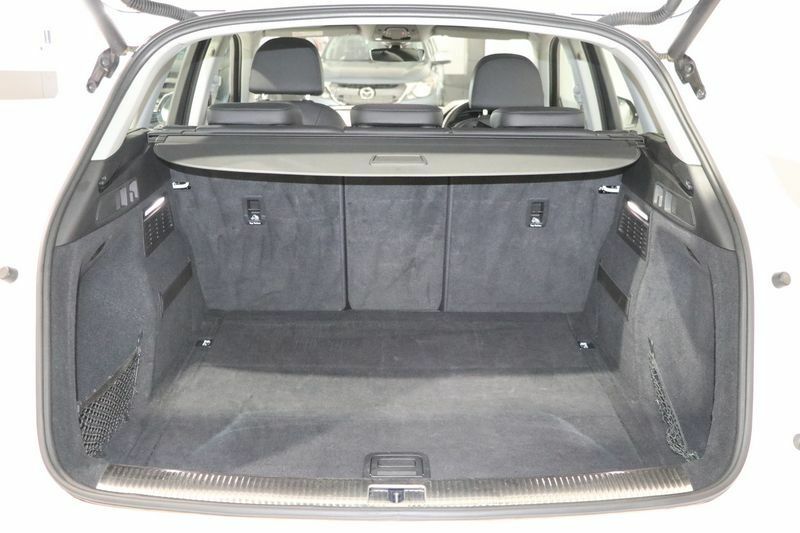 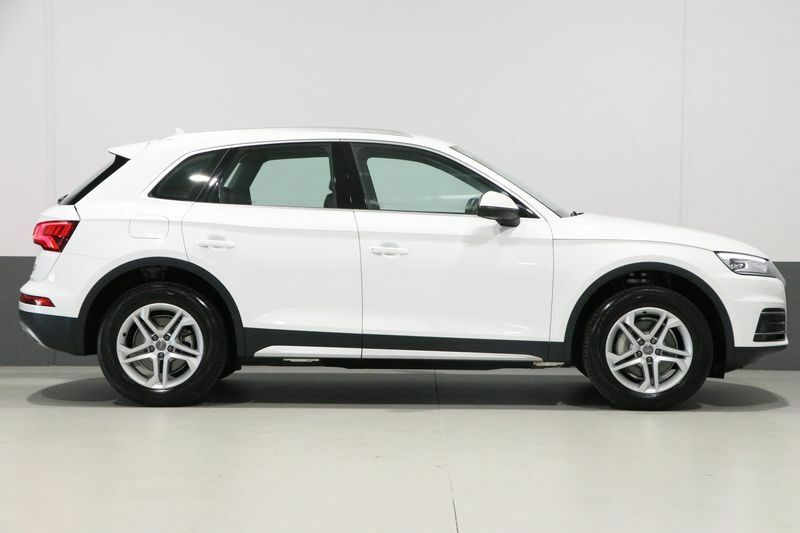 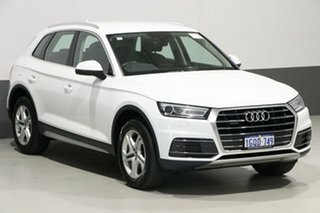 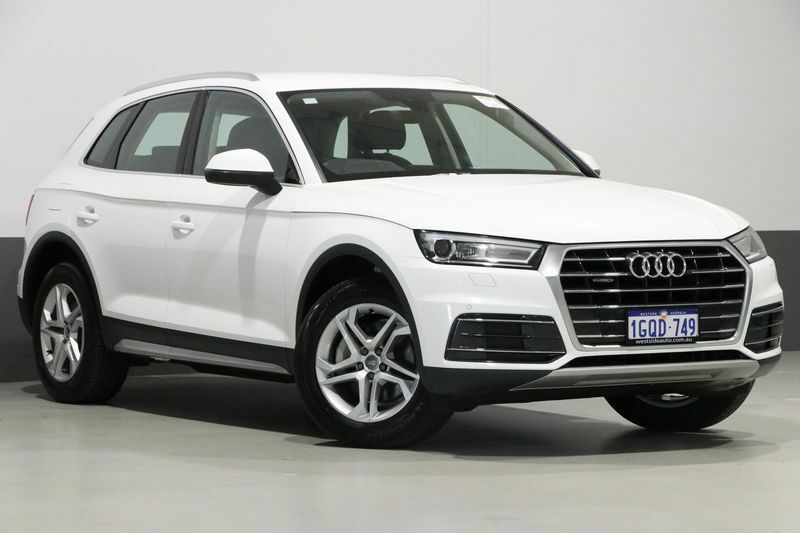 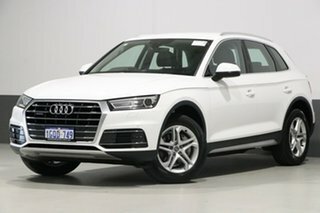 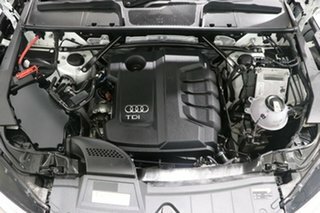 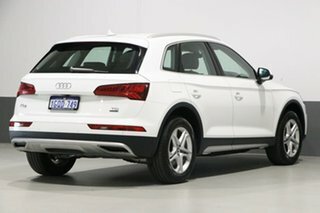 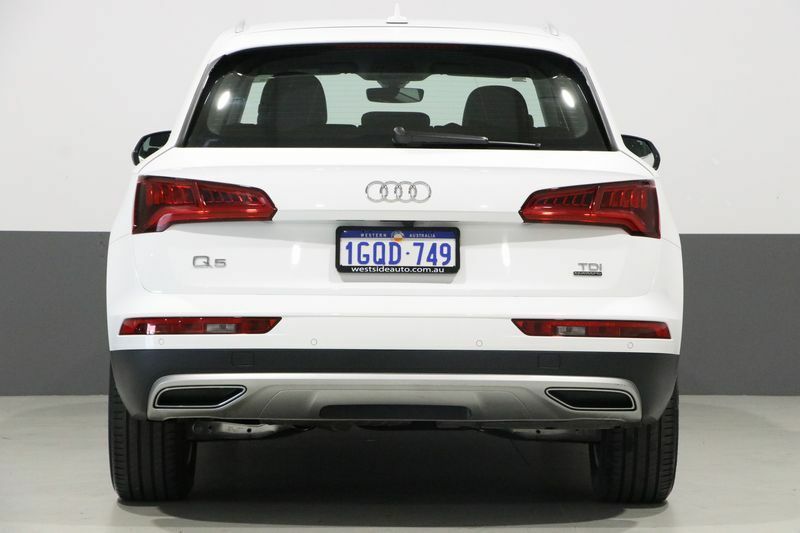 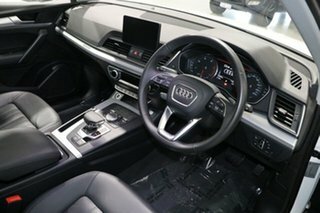 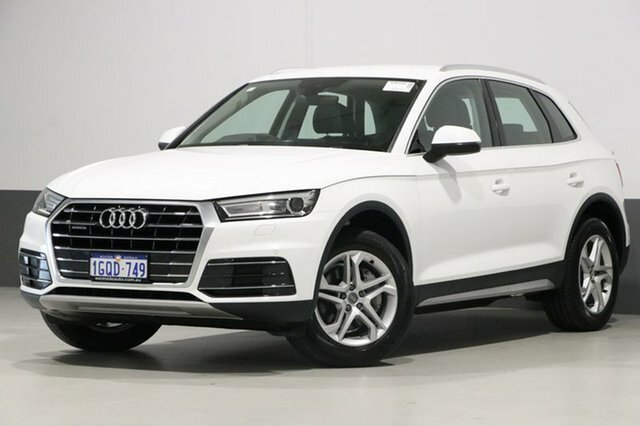 If you are looking for benchmark interior quality and excellent refinement levels in your next family SUV than this Audi Q5 Quattro is the perfect vehicle for you. Features dual front airbag package, 18-inch alloy wheels, head airbags, hill descent control, hill holder, engine immobiliser, leather accented upholstery, Bluetooth, parking distance control front and rear, power front seats, power steering, power tailgate, power windows, radio compact disc player, rear spoiler, side airbags, traction control system, Xenon headlights, keyless entry and drive, roof rails, automatic stop/start, AUX/USB input socket, multi function control screen, and more. 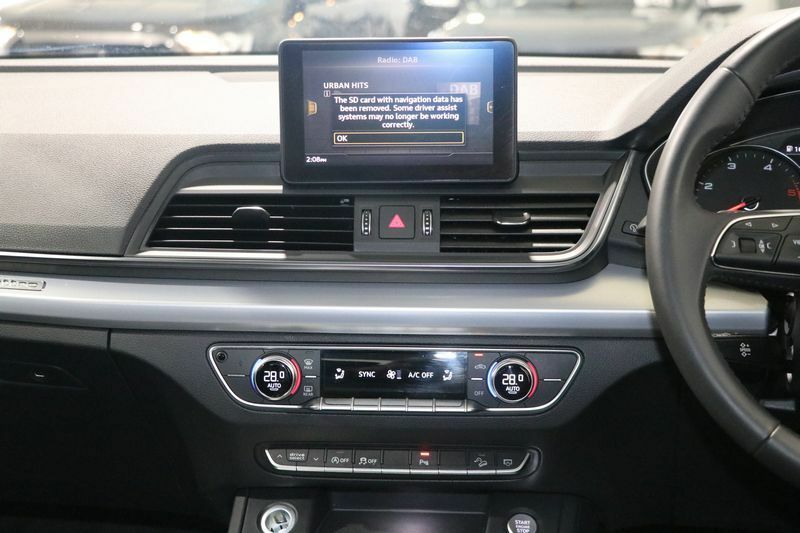 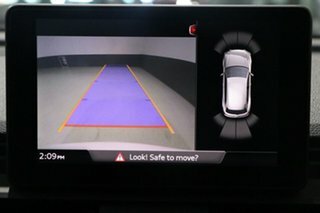 Balance of new car warranty applies for added peace of mind motoring.